Moto E had been promising last year but had failed in its commitments. 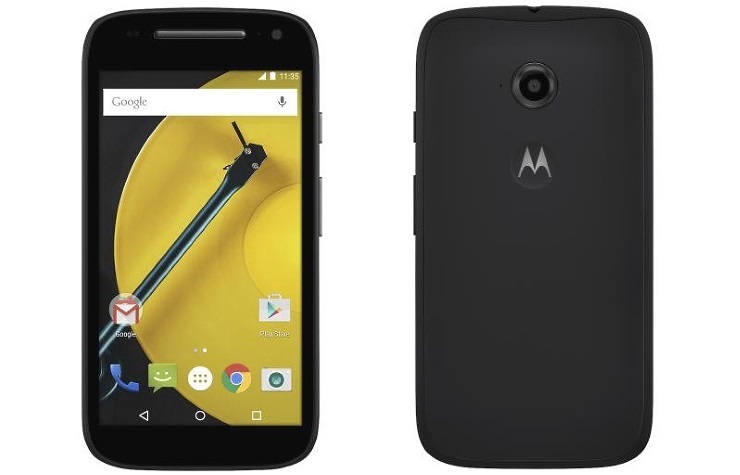 This year the company has come up with a new model Moto E 4G LTE. The model is with good connectivity, with version of Android 5.0 Lollipop and a better battery. The price of the Moto E 4G LTE is around Rs. 9000 to Rs. 10,000. The company offers a phone with good budget and good features. The features offered are very much as compared to its prices. The phone is the best option if you are finding for the phone with features in a tight schedule. The phone is released with the GSM and LTE facility. The phone has the plastic body and is different from the phones that offer the metal and glass body. The phone is available in black and white color and the border of the phone is a removable one. The display of the phone is 4.5 inch which is a bit less than the other phones offering huge display screen. The resolution of the phone is 960 pixel X 540 pixels which is a bit disappointing for those who have specs. The phone has the density of 245 pixels PPI and everything on the screen is easily visible to everyone. The photos and videos look good on the phone and the images remain accurate and true. Flipkart is one of the leading companies that offers the newly introduced phones in lower prices and have introduced the coupons for Amazon India for benefitting the customers. The phone is running an Android 5.0.2 Lollipop and now it started supporting the Android 5.1 version. The phone contains certain Motorola apps like the app that helps to share the location and the tool to easily transfer your data form old phone to new one. The data speed of the phone is good and is tested in different locations such as in mountains and other areas. The download speed was at peak of 16.51 mbps and on average the data speed was 9 mbps. The speed is quite good especially in the odd areas. The phone is having the Android 5.0 version which is upgradable to 5.1 version of Lollipop. The processor of the phone is Qualcomm Snapdragon 410 for the LTE model. It has the quad-core 1.2 GHz Cortex A53. The phone also offers the common features such as battery point, Bluetooth connectivity, WIFI connection and other features. The phone has less storage capacity but as per the price of the model the storage capacity is quite good. The phone offers RAM of 1 GB and has the internal memory of 8 GB. The phone also offers to add some external memory up to 32 GB using the micro SD. The phone has rear camera of 5 megapixels and has the facility of autofocus. The video quality is also good in the phone.